1) Colours - I love the bright sunshine and greenery that summer provides, but Autumn brings a whole host of different colours everywhere you turn. Leaves on the trees start to change and a simple walk down the street can bring such a wide selection of calming shades and tones to your eyes. Our walk to school consists of going past numerous trees, all of various sizes and shapes. 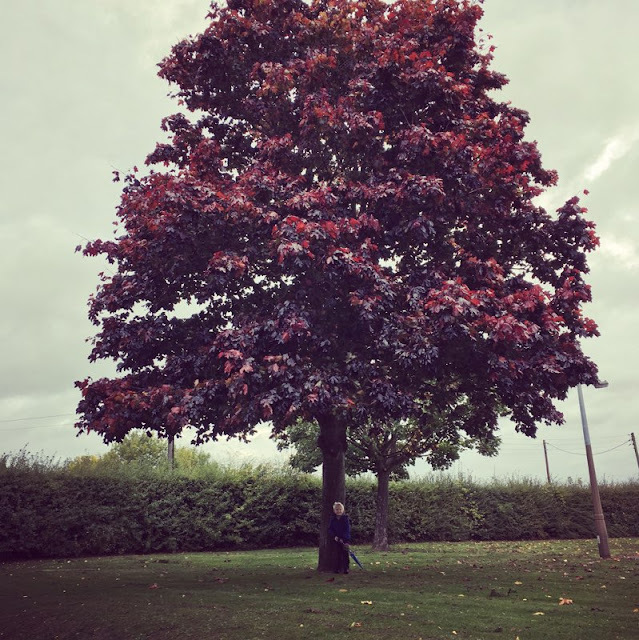 Just before we reach school, there is a small grass area that is home to a beautiful large tree, which turns a stunning red and deep purple colour every October. Riley calls this his favourite tree as he just loves the colours it brings. 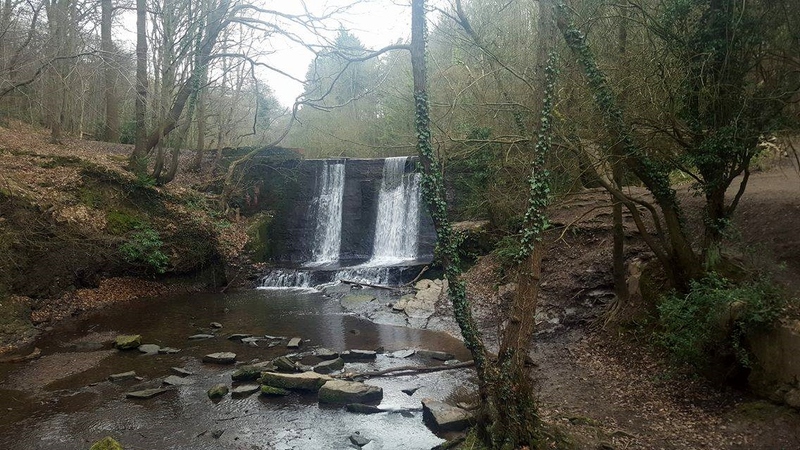 2) Weather - Whether it is cool and dry, or wet and windy, Autumn is great for puddle jumping, woodland walks and exploration. The heat of the summer has subsided and it makes for a much more relaxing and cool experience when venturing out of the house. My children love getting their wellies and waterproofs on and heading down to the local park, where you can be sure to find plenty of puddles, squelchy mud and woods to explore. 3) Events - October and November bring lots of events for us. 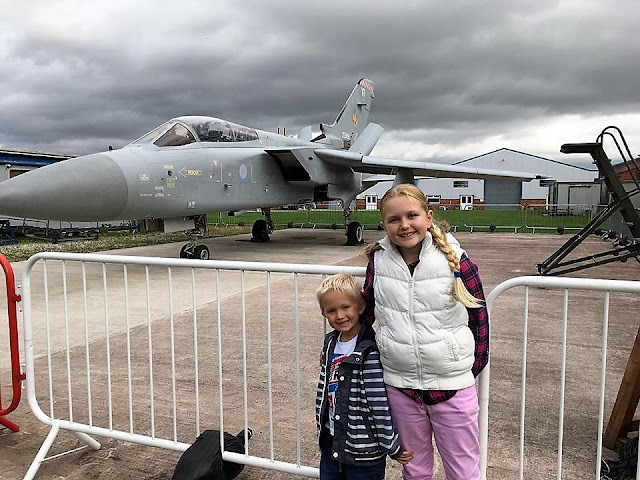 Both my daughter and I have birthdays in October, my husband and I celebrate our wedding anniversary, we have October half term to look forward to spending together as a family, as well as getting dressed up for Halloween. Then of course, we have the enjoyment of bonfire night and fireworks displays, as well as it being the time of year that we start to also prepare for Christmas. 4) Cosy Nights at Home - As much as I love to travel and get out and about, there literally is no place like home. I absolutely love it when it gets dark early and you can enjoy the sunset, put the fire on and cosy up in your pyjamas with a nice glass of wine or hot chocolate. I love the feeling of being warm and comfortable at home, whilst it is cold or raining outside. 5) Clothing - I love to shop, so Autumn gives me a great excuse to hit the retail park and purchase some new clothing from the Autumn/Winter ranges. I love being able to throw on a cardigan or oversized jumper and wave goodbye to the figure hugging tops of summer. 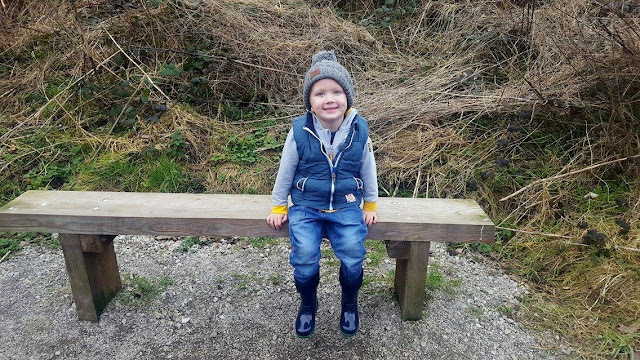 I always love the Autumn kids ranges that come out in Next and Primark, so it is nice to be able to splash out on some new clothes for the kids and purchase the compulsory Autumn/Winter coat for each of them. 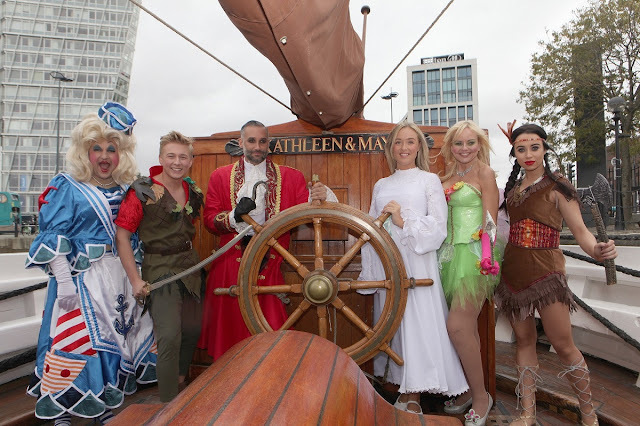 Dates for your Diary - Manchester's Biggest Indoor Christmas Attraction is Back! One of our favourite annual events on the festive calendar has to be Winter Wonderland, which is a wonderful indoor attraction, held at EventCity, next to the Intu Trafford Centre Manchester. This fabulous family event will be returning for it's fifth consecutive year and looks set to be the very best yet. The giant 22,000sqm exhibition space at EventCity will be transformed into an unbelievable wonderland extravaganza, featuring over 50 family rides and attractions all under one roof. As well as the rides and the bright lights, there will be a dazzling array of colourful shows and this year, Winter Wonderland is delighted to welcome the nation's favourite children's TV characters Zippy and George from Rainbow, who will no doubt bring lots of magic, mayhem and comedy capers! The spectacular Christmas Circus will also be making a welcome return and is sure to have audiences marvelled and amazed with their daily performances. Santa Claus and his reindeer will also be taking time out from their busy schedule for meet and greets with all the children, every day up to and including Christmas Eve. In addition to all of this, there will also be fairies and elves on hand to chat and play with the children, a host of games stalls and an array of food and drinks stalls where you can purchase hot snacks or sweet treats. 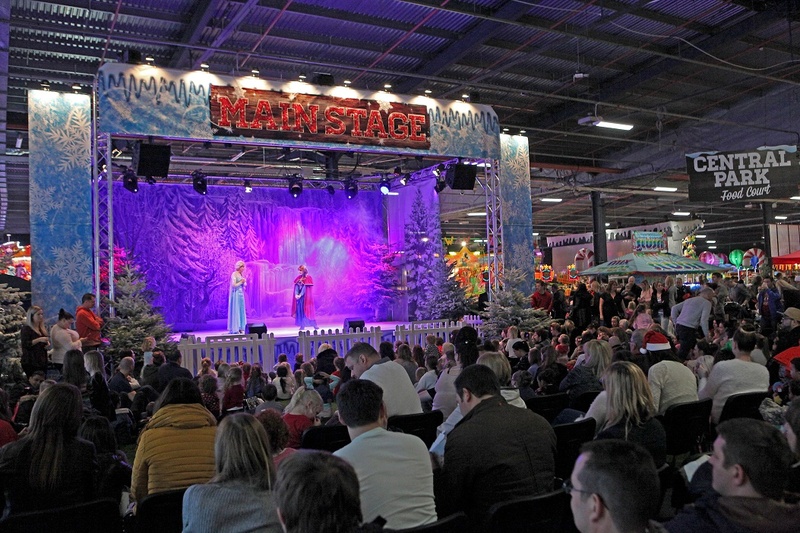 Winter Wonderland operates on a session basis to ensure that visitors can enjoy the experience without overcrowding, offering families four hours of non-stop fun and entertainment. Organisers Kingpin Events are urging families to book now to make sure that they don't miss out on this magical festive family adventure and to ensure they secure tickets for their preferred date. Last years event saw record ticket sales of 100,000, so it is sure to be popular once more for 2017! Group, family and individual tickets are on sale now for this wonderful Winter Wonderland event, which is guaranteed to create that enchanting Christmas spirit and spread joy across the whole of Manchester. Disclaimer: Details can be subject to change, so I would always recommend visiting the events own website to obtain the most up to date information. My family and I absolutely love attending Christmas events and we are always on the look out for something new and exciting to visit. 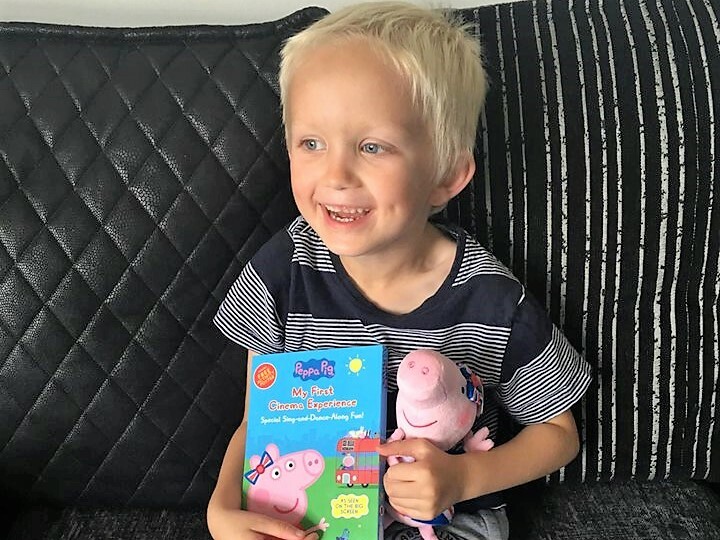 Like most families, Christmas is a really magical time for us, so we try and enjoy as many festive activities as we can together, in the run up to Christmas Day. 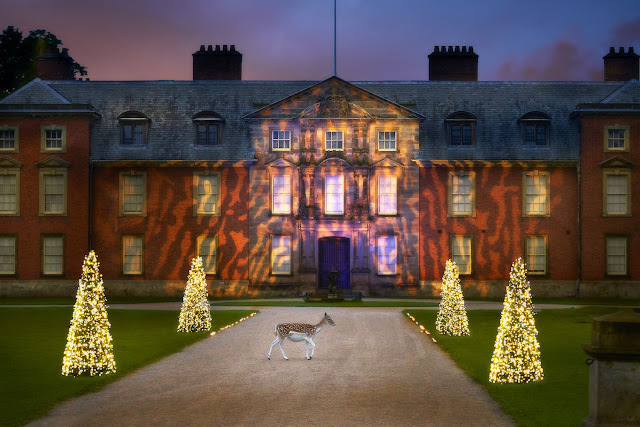 We were therefore really excited to find out about a brand new Christmas Light trail, which will be at Dunham Massey in Cheshire, from the 1st to 30th December 2017. This magical, after-dark illuminated trail, will be brought to you by leading events producers Raymond Gubbay, in partnership with the National Trust and will see Dunham Massey transformed into a beautiful winter wonderland. The trail has been specially designed to appeal to visitors of all ages and there is something for everyone at this festive time of year, as the one mile sparkling path winds its way through the historic Dunham Massey woodland. Greeted by the sights and sounds of Christmas, visitors will wander beneath tree canopies that will be illuminated in seasonal shards of light and larger-than-life snowflakes and baubles. Father Christmas sees you on your way through twinkling tunnels and a swaying lawn of colour reflected in the water. Duck between sparkling hedgerows, discover the Singing Trees rising high into the night sky and experience Pealight Heaven, a canopy of over 100,000 fairy lights. Once you reach the festive finale, you can take a moment to pause and enjoy the brightly coloured water jets dancing in time to some much loved Christmas classics. Complete your stroll under the stars with a hot drink or some mulled wine, enjoy a ride on the vintage carousel* , toast your own marshmallows at one of the fire pits, or even take the opportunity to do a spot of Christmas shopping in Dunham Massey's shop. Disclaimer: Details correct at time of writing, but can be subject to change. 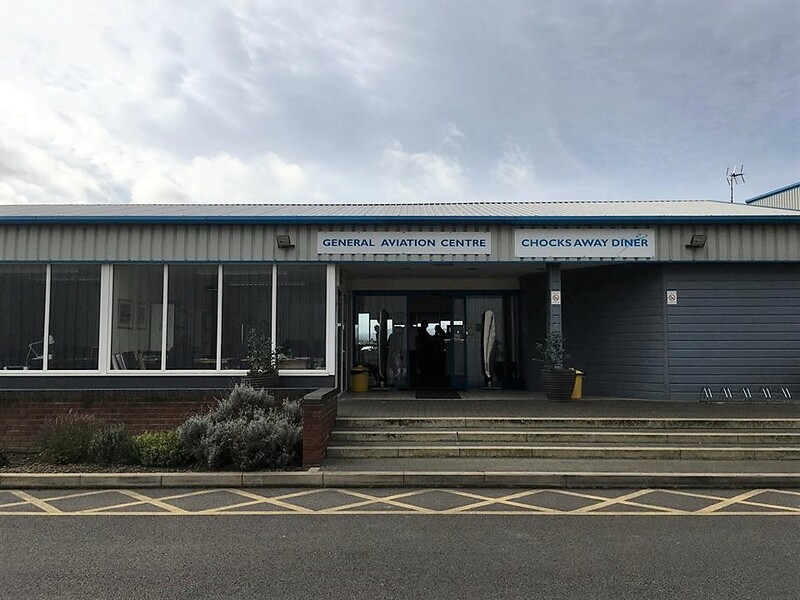 Therefore please always check the events own website for the most up to date information. It is only 11 weeks til Christmas, I repeat 11 weeks til Christmas! Eeeek! For some people this may seem a long time away, but for others like myself, it is now the time to start preparing for another magical time with my family. I have read a few articles lately about how Christmas theming, products and advertisements seem to be in the shops earlier and earlier every year, and whilst this may be true, personally I love it! From October onwards my children get excited about all the Christmas events we attend, the family we get to visit, the shows they get to practice and perform in school, the fact that there is stockpiled chocolates everywhere they turn, spending time together as a family, and of course writing their Christmas present gift lists. 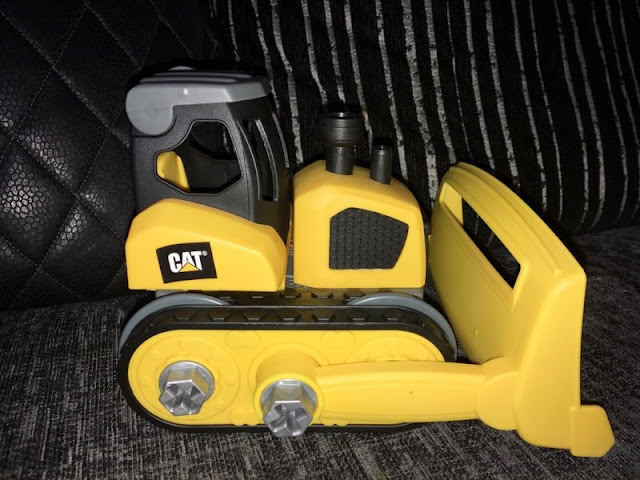 My son Riley who is 4, loves vehicles and every day consists of building a new train track and placing his trains, cars, diggers, boats and planes anywhere he can around the track and creating a little city of his own. He loves to organise, create and build and so his Christmas lists usually consist of toys that can help him to develop his creative skills, improve his coordination and most of all, offer some fun! Therefore, when we were asked if we would like to review a product from the Toy State toddler range, it was a very easy decision to make. 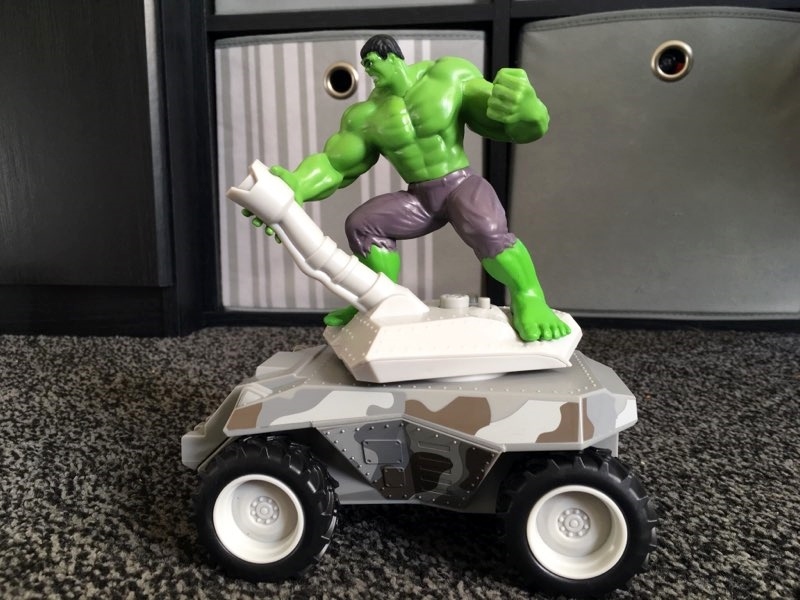 Toy State are an industry leader and innovator of highly-stylized licenced "lights and sound" and radio-controlled (RC) vehicles. 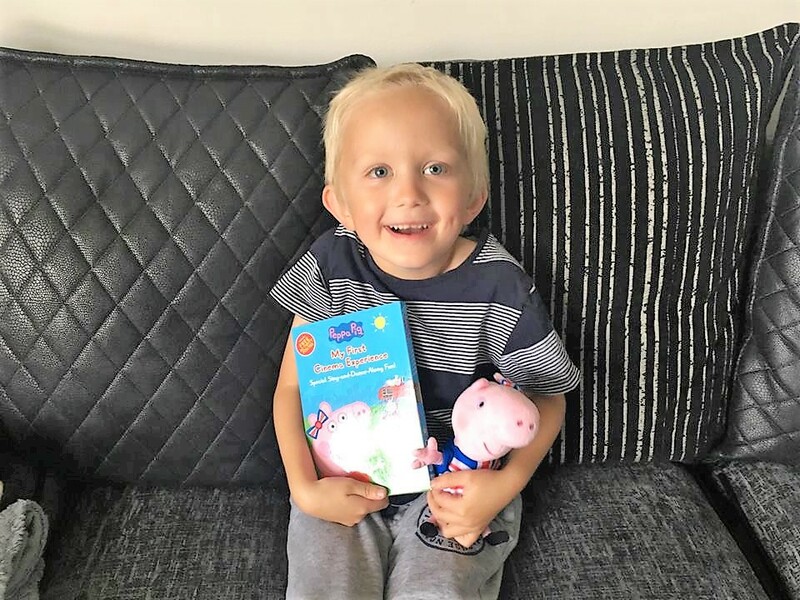 They have recently revealed a fantastic selection of Christmas toys which encourage co-ordination and imaginative play, as well as being designed to be tough enough to cope with toddler play. One product in particular from their range that really stood out to us, was the Cat Machine Maker™ Junior Operator, which is suitable for children aged 3+. When the product arrived, Riley was firstly very impressed with the box. He loved the fact that he could carry it around and that it would give him somewhere to store all the pieces. 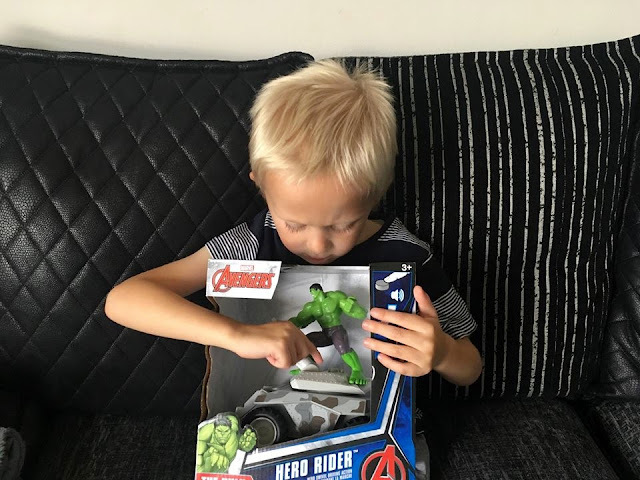 The image on the front of the box was very clear, so Riley could see exactly what the toy would look like once built and he was also very excited to be getting his very own screwdriver! 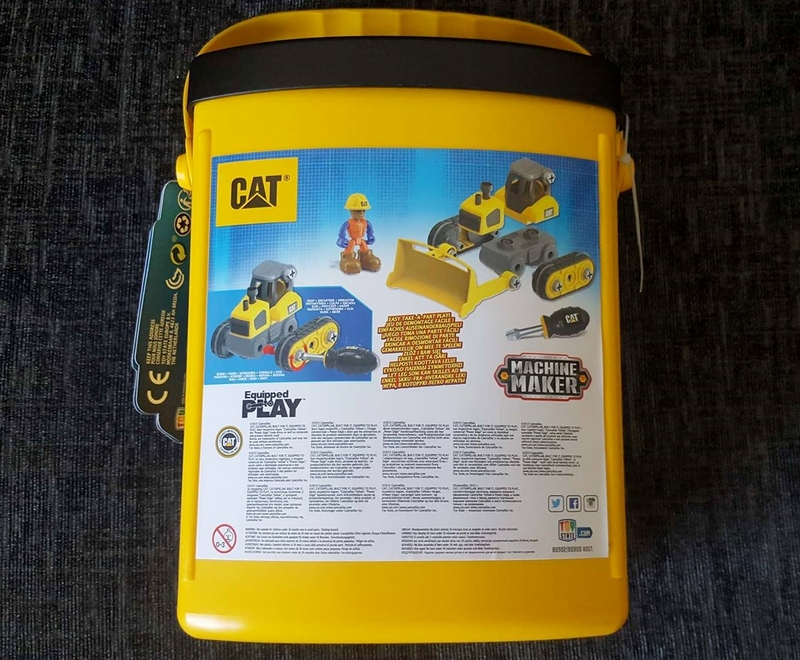 The front of the box stated the age recommendation, the number of pieces in the box and a picture of a screwdriver, to signify that assembly is required. The rear of the box provides some further images that show you the individual pieces before construction, as well as another image of a partially built model. 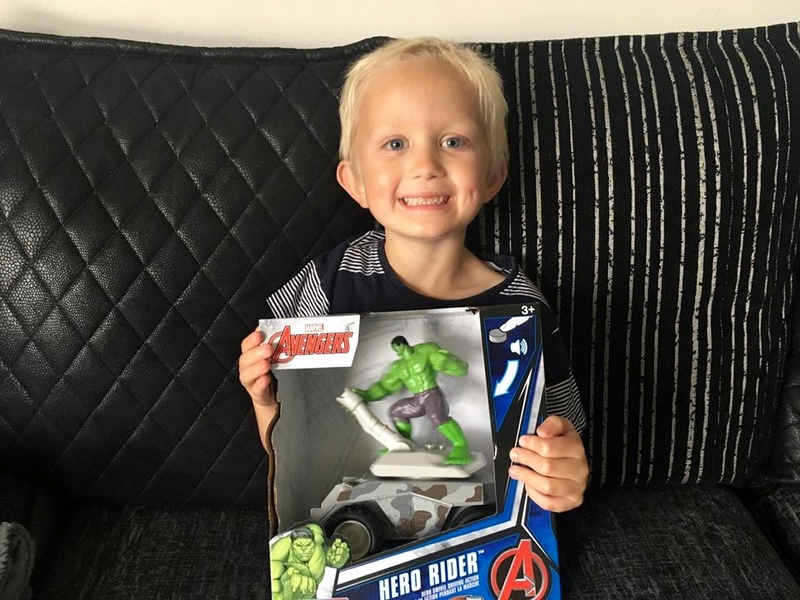 Riley couldn't wait to get the box open and once inside, he quickly cast aside the instructions declaring he would be building it on his own and that he didn't need them. This is what my husband Mr. F still does at the age of 37, so I guess it runs in the family. We arranged all the pieces out, so he could see exactly what he needed to put together and he began picking things up bit by bit, trying to connect them all. The pieces are a really nice hand held size. Not too big, but not too small, just quite chunky and the ideal dimensions for a toddler. Riley did take a couple of glances at the instructions, but ultimately he managed to construct the toy quite easily using the image on the back of the box. 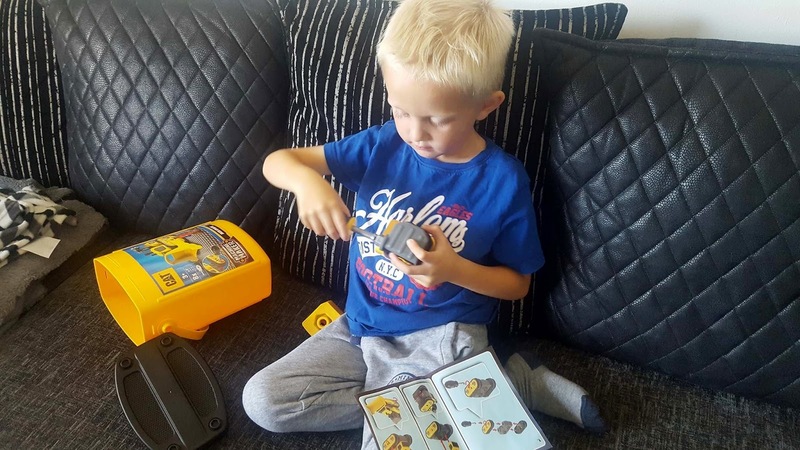 Once he had finished building the toy, I expected him to instantly play with it constructed, however Riley had different ideas and instead decided to start using role play and pretend he was a mechanic. 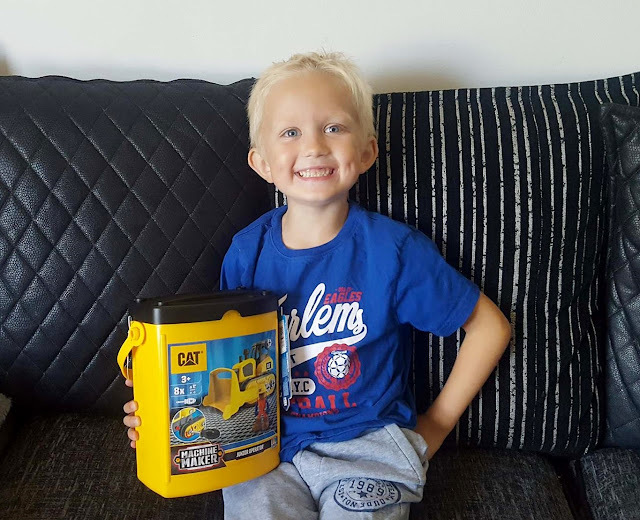 He asked his brother Ben to bring the vehicle to his garage, so that he could take it apart to then fix it again. It was actually quite fascinating to watch and great to see him creating his own little story about how the vehicle had broken down on a very important job, so Riley the mechanic had to fix it urgently. 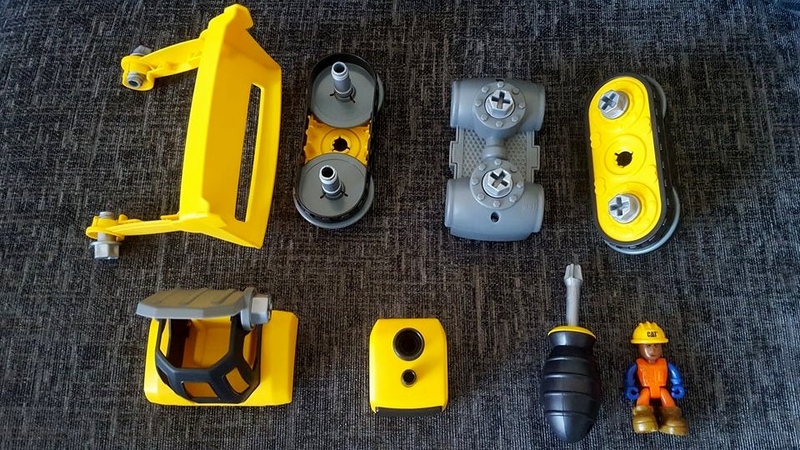 He continued to take it apart and rebuild it again for nearly an hour, before beginning to play with it fully constructed alongside his other toys. 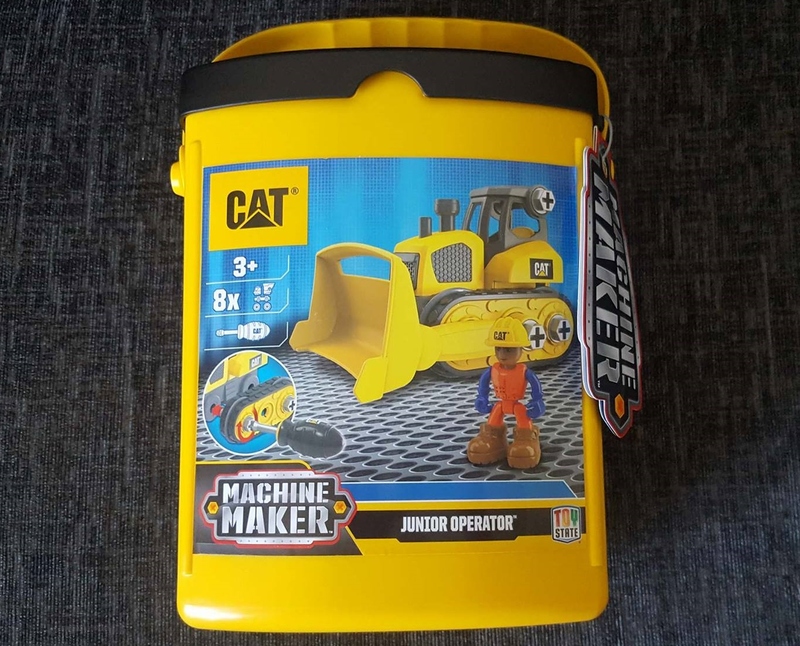 The Cat Machine Maker™ Junior Operator, is part of a line of Build-It-Yourself construction sets, with a total of 5 in the range to collect. Models include an Excavator, Dump Truck, Bulldozer, Service Truck and Wheel Loader. They each come with their own chunky screwdriver, as well as a reusable carry case, which is useful for storing away all the parts neatly. The Machine operator is also included and fits nicely into the driver's seat. The clever aspect of this range is that you can also mix and match the parts as you collect each model. This means that your child can also get creative and make their own marvellous machine! The RRP of the product is £11.99, which I think offers excellent value for money. 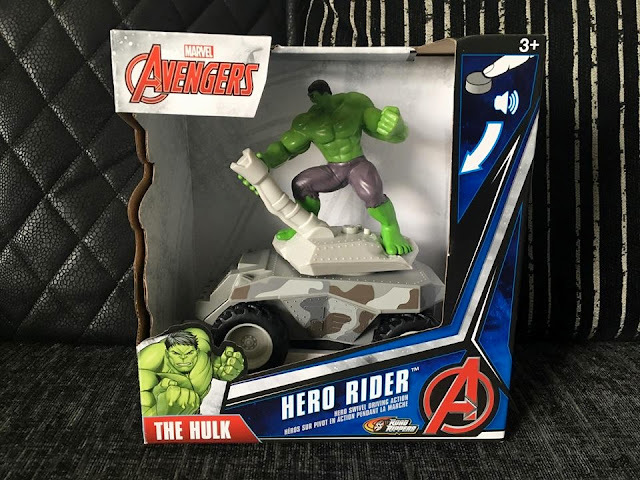 It is a nice sized gift, that also doesn't cost a fortune, so it is the perfect price for a good quality, low cost gift idea. This product can currently be purchased from Hamley's, Morrisons, The Range, Toymaster and Smyths and I am sure, they will prove to be very popular this Christmas. 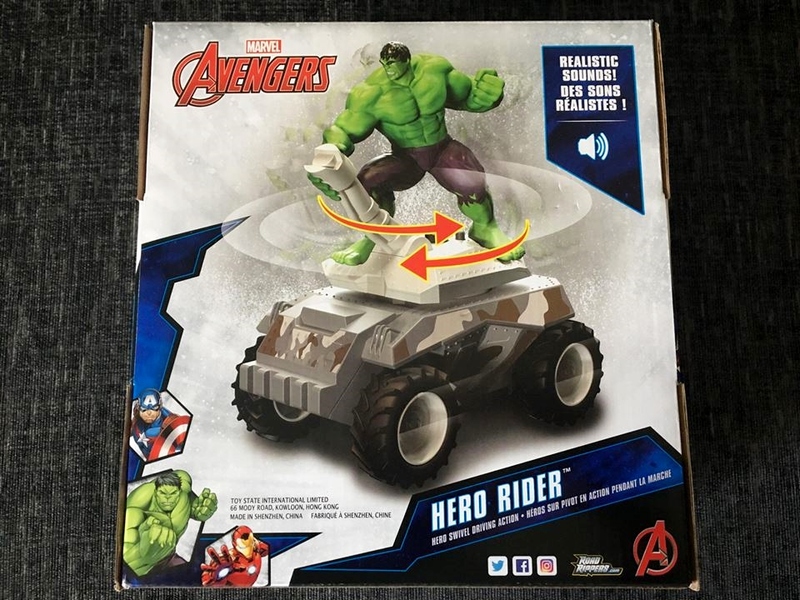 Disclaimer: We were provided with this product on a complimentary basis, for the purpose of providing an honest review of the toy. All opinions and photographs are my own unless otherwise stated. 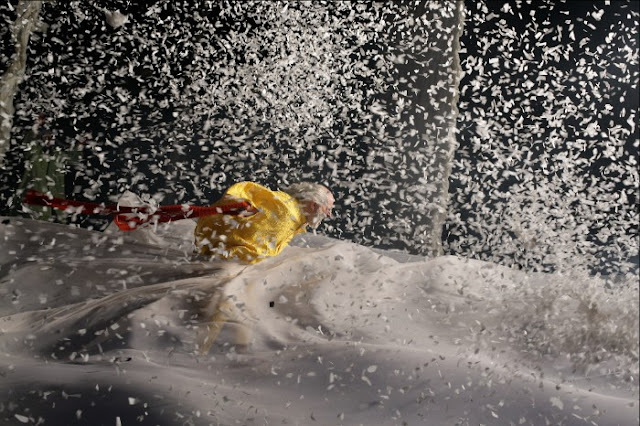 Slava's Snowshow, produced by Matthew Gale and Mark Goucher, returns to The Lowry, Salford this autumn from Tuesday 24th to Sunday 29th October. The multi-award winning show offers a combination of theatrical clowning and a stunning visual spectacle, which is sure to entertain and enchant the audience. The world-renowned company of clowns is led by Slava Polunin, Artistic Director of the St Petersburg Circus, who recently visited the UK to launch his new book Alchemy of Snowness. The book follows Slava's artistic journey and exhilarating exploration in his creation of "a show that would bring us back to our childhood dreams; a show which would help spectators be released from the jail of adulthood and rediscover their forgotten childhood." The show first premiered in the UK at the Edinburgh Festival in 1994, and has since toured all over the country, picking up a host of awards along the way. Slava's Snowshow is the internationally acclaimed winner of the Time Out, Olivier and Drama Desk Awards for the most unique theatrical experience. Influenced by artists such as Chaplin, Marcel Marceau and Engibarov, Slava and his company have taken clowning out of the world of circus and brought it to theatre lovers, fellow practitioners and families worldwide. It's global popularity has seen the show perform in 80 cities including New York, Los Angeles, Paris, Rome, Hong Kong, Rio de Janeiro and Moscow, so don't miss your opportunity to watch it at The Lowry, Salford this October. Times: 7pm with 2pm performances available on Wed, Thurs, Sat, Sun. Disclaimer: Information correct at time of writing but could be subject to change. I would therefore always recommend visiting the theatres own website to gain the most up to date information.